Current: What are Scrum Artifacts? Scrum Artifacts provide key information that the Scrum Team and the stakeholders need to be aware of for understanding the product under development, the activities being planned, and the activities done in the project. 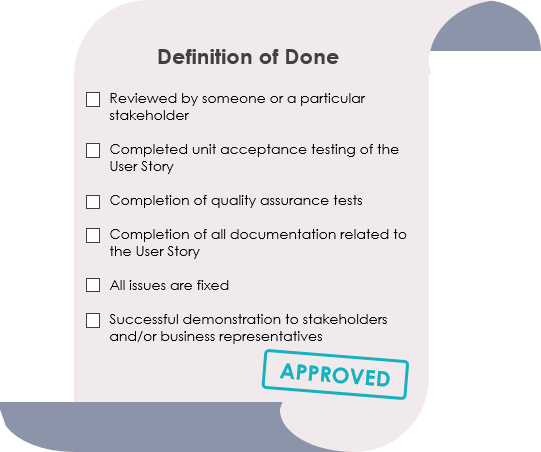 The following artifacts are defined in Scrum Process Framework. These are the most common artifacts in a scrum project and project artifacts are not limited by these. The Product Vision is an artifact to define the long-term goal of the project/product. It sets the overall direction and guides the Scrum Team. Everyone should be able to memorize the Product Vision; therefore it must be short and precise. The Sprint Goal helps to focus the Sprint. It is the objective that will be met within the Sprint through the implementation of the forecasted Product Backlog items, and it provides guidance to the Development Team on why it is building the Product Increment. As per the Scrum Guide, the responsibility for crafting a Sprint Goal is for the Scrum Team. It is however in large part of interest to the Product Owner to support this process by having clear business goals for the coming Sprint, which can also make ordering the Product Backlog a lot easier by providing Focus. A product backlog is a list of all the things that are required in the product and it is a dynamic and best understood requirements for any changes to be made to the product. 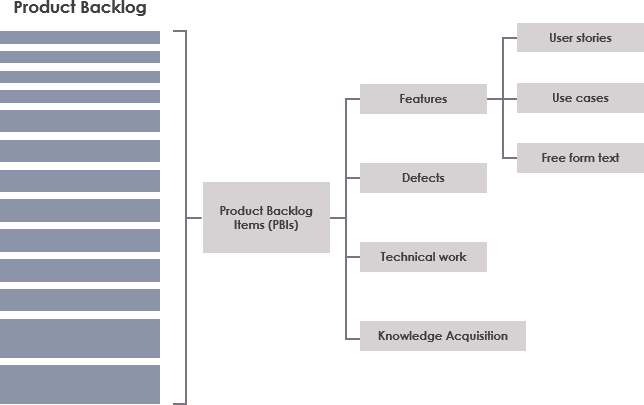 Product backlog owned by the Product Owner (PO) which consists of a lists all features, functions, requirements, enhancements, and fixes that constitute the changes to be made to the product in the future releases. Typically, the requirements of a product keep changing, i.e. change in business requirements, market conditions, or technology. Thus, product backlog is consistently updated to reflect what the product needs to be most useful to the target users. The Sprint Backlog is the set of Product Backlog items selected for the Sprint plus a plan for delivering the product Increment and realizing the Sprint Goal. The Sprint Backlog is a forecast by the Development Team about what functionality will be in the next Increment and the work needed to deliver that functionality. The Sprint Backlog defines the work the Development Team will perform to turn Product Backlog items into a “Done” Increment. The Sprint Backlog makes visible all of the work that the Development Team identifies as necessary to meet the Sprint Goal. The Increment is the sum of all the Product Backlog items completed during a Sprint and all previous Sprints. It must be in usable condition regardless of whether the Product Owner decides to actually release it. Burndown charts are graphs that give an overview of progress over time while completing a project. As tasks are completed, the graph “burns down” to zero. 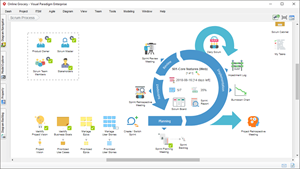 It is used as a tool to guide the development team to a successful completion of a Sprint on time with a working final product. If a team decides they have moved more objectives than possible for completion from the Product Backlog to the Sprint Backlog, the Burndown Chart can aid them is ascertaining which tasks they are not realistically able to complete so that these task can be moved back to the Product Backlog. The following sprint burndown chart is displayed showing remaining tasks in the sprint backlog. Updated every day, it gives a simple view of the sprint progress. It also provides quick visualizations for reference.